Throughout the ages, recorded history confirms murder is one of most horrifying actions taken against humanity. Why certain people commit murder is open to dispute largely because the exact cause or causes have not been firmly established. These disagreements give rise to wondering about murder causality. Dr. Henry says that we need to go well beyond mere wondering in the physical realm in order to unravel the mystifications of murder. He declares we should consider that answers to this dilemma can be revealed by Biblical writers who were inspired by God’s Spirit. He also says that only when we break free from confinements and usual limits of the tangible world in a largely secularized world culture can we develop insight of the intangible spiritual world. Some would call this approach a mental-thought process of “thinking outside the box” while many theologians and clergy would label it “transcendence into the spiritual domain”. 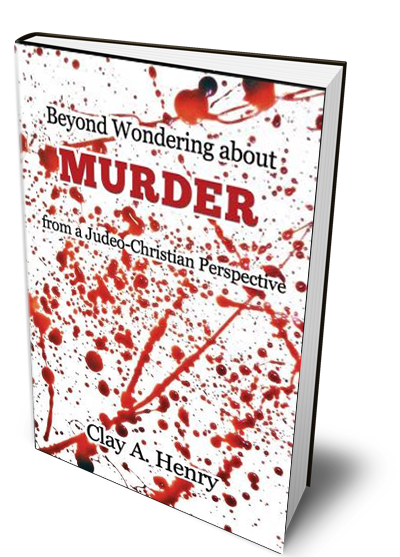 Therefore, Dr. Henry’s intent is to decipher the perplexity of murder from a Judeo-Christian perspective. What he found out is there are several factors that play a part in murderers, which include spiritual unawareness, envy, heart hardness and evil desires. Moreover, the Bible tells us that there is an identifiable root cause behind all who take the lives of other humans. This cause amounts to a form of spiritual lawlessness that desperately needs to be divinely forgiven. The Bible tells us of such a supernatural provision which totally accomplishes this acquittal. This merciful action is primarily found in the New Testament and is called, “Good News”. It is this message of Good News that gives practicality to Dr. Henry’s book. Jesus commanded His followers to take his message to all peoples of the world. Why? One major reason was, when accepted and lived godly; these were guaranteed eternal life of peace and tranquility. Those who rejected this offer and continued their evil ways were destined to eternal life in a place of unending torment and punishment. This is an ultimate message for all humans, including those who murder.